The breakdown of Ryan Giggs’ marriage has been widely publicised, for a number of reasons, but most recently because he apparently intends to claim “special contribution”. Whilst most people would readily accept that he has made a special contribution to football, can the same be argued for his marriage? In the majority of divorces, the capital assets are divided so as to meet the parties’ needs and, so far as is possible, this is carried out in a way that achieves a 50/50 split, in recognition of the fact that the parties have made an equal contribution to the marriage. But, what happens when the capital needs of the parties can be met without using the entire “pot”? How should the remaining assets be divided? Usually any excess is still divided 50/50, on the basis that, whether you are bringing up the children or working to earn money for the family, you are contributing your utmost and therefore equally to the marriage. However, the concept of “special contribution” has recently come to the fore, largely because of the rise in multi-millionaire divorces, and this provides for a spouse to argue a departure from equality on the basis that they have made a special contribution to the family’s wealth. It is extremely difficult to successfully argue such an “x factor” and, perhaps unsurprisingly, a pattern seems to be developing in that the richer you are, the more likely you are to be successful, but essentially you have to satisfy the Judge that your contribution is not only unmatched by the other party but also that it arises from skills specifically unique to you. Such a controversial notion inevitably creates polarised views. For example, can it be right that a spouse who has given their all to a marriage should receive less than half the assets simply because they happen to be married to the super rich? Alternatively, is there a risk that by ignoring this factor, it eases the way for gold diggers to target the wealthy? In the case of Ryan Giggs, it is my view that if there were ever a person who could justifiably claim special contribution, it is him. However, I entirely accept that there are those who will not agree with me. Ultimately, it is for the Judge to decide whether his contribution is special or whether he is simply good at his job. 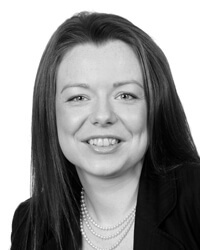 To discuss financial settlements during divorce, please contact Lora Grogan on lgrogan@bussmurton.co.uk or 01892 502 333.